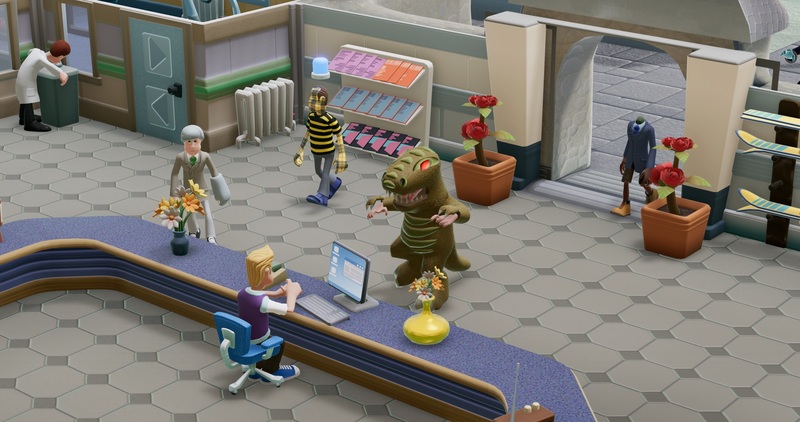 The hilariously offbeat Two Point Hospital is getting some DLC today featuring the likes of Bigfoot. Along with featuring the mythical monster, this new DLC will feature a brand new selection of hospital in the "Point Mountains" region. These hospitals are home to 34 new region-specific illnesses and are decorated with a wide range of new, wintery, holiday-themed items. Some of the new illnesses include things like Aurora Snorealis, Cold Shoulder and Bard Flu. There will be new treatment rooms dedicated to curing these quirky sicknesses, which likely involve slapping patients around in weird ways. The DLC is available for $8.99 with a 10% discount for its first week.